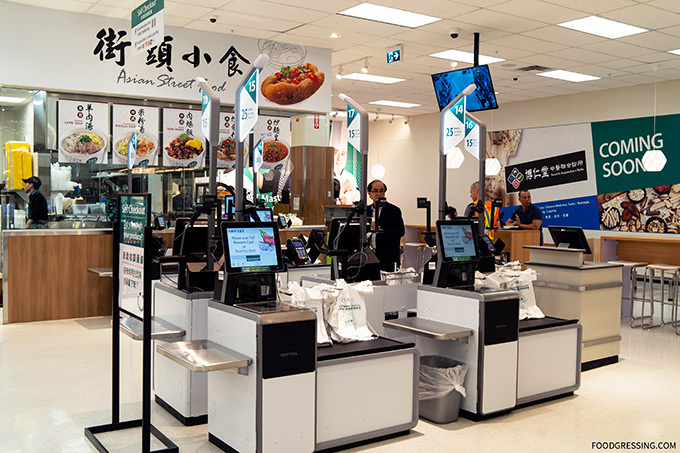 The largest and newest T&T Supermarket in Canada is now open at Lansdowne Centre in Richmond. 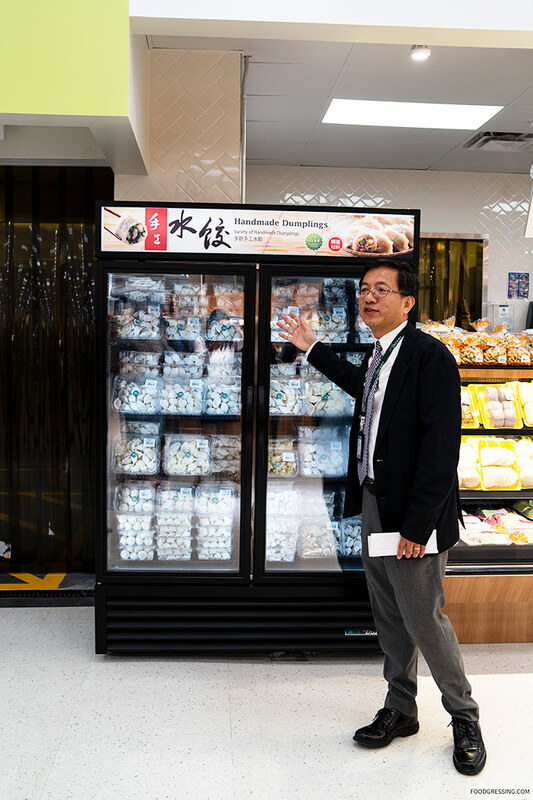 The grand opening took place August 16 at 10 am to a crowd of enthusiastic shoppers. I was invited for a media preview one day ahead of the Grand Opening to learn about the concepts that are unique to this location. 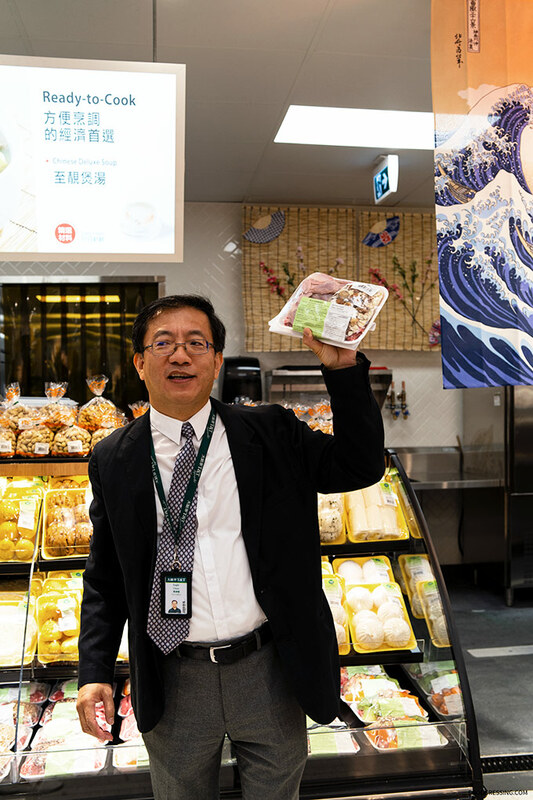 From the Seafood Bar, Asian Street Food to a wide selection of slippers and a pharmacy, here’s a look at what you can expect at the new T&T Lansdowne. 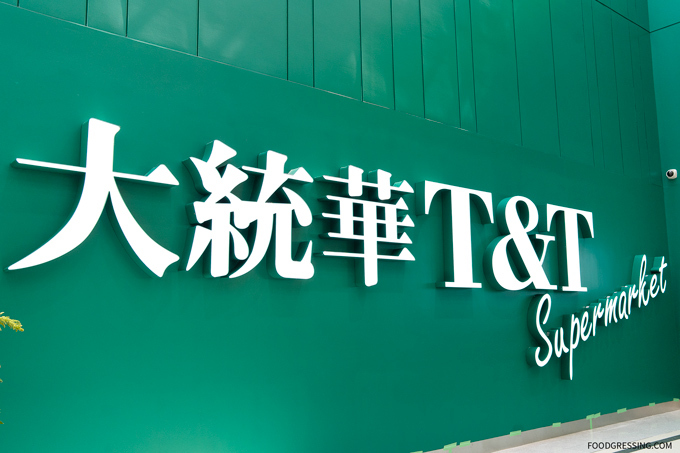 Just how big is the newest T&T? 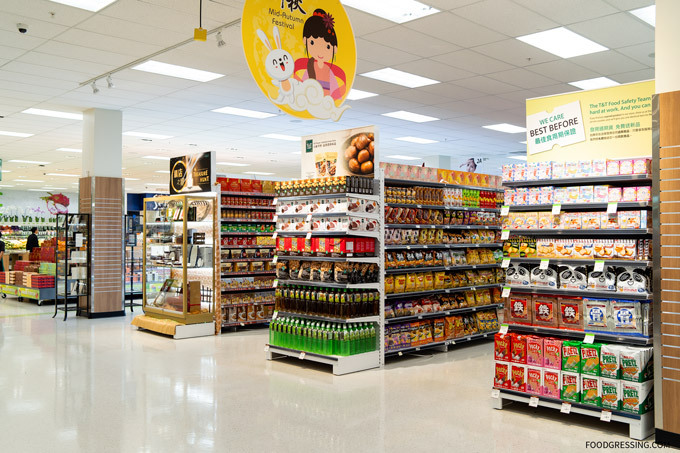 The store spans 70, 000 square feet with just one floor level and occupies the former space of Target. 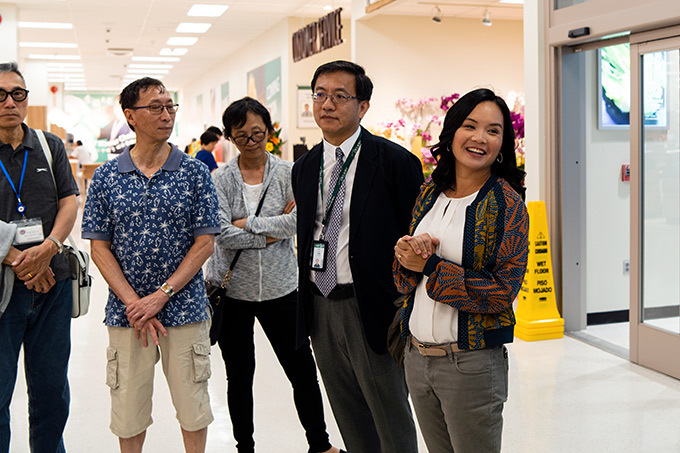 T&T CEO, Tina Lee, was at the media event to give us insights on the new store. 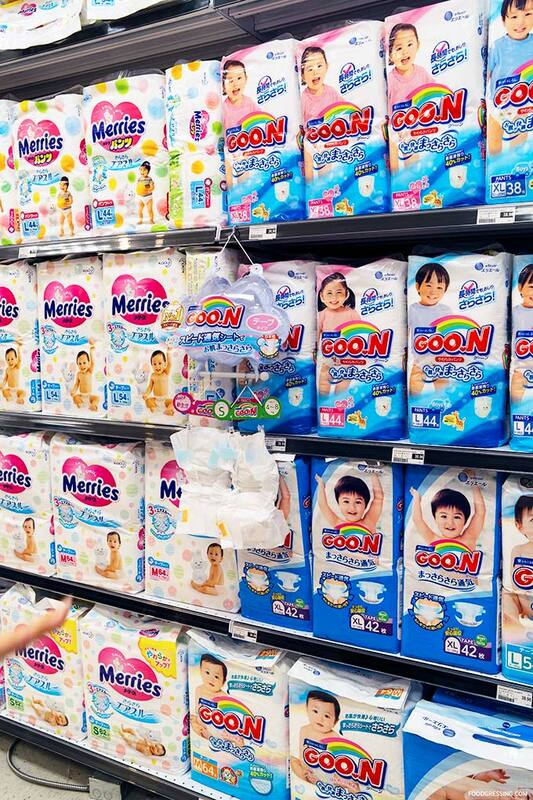 Her mother, Cindy Lee, is the founder of T&T having started the business with one store. 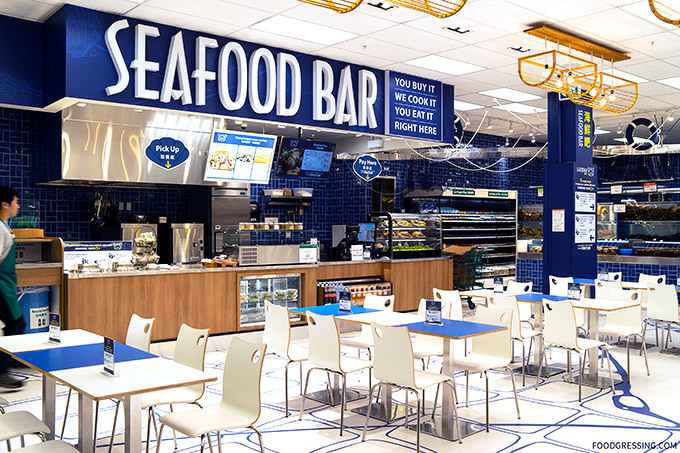 One of the most exciting new concepts at T&T Lansdowne is the Seafood Bar where you choose your seafood, they cook it and you eat your seafood right in the store. For a more detailed look at the ordering process, visit this post here. Below is a brief overview. 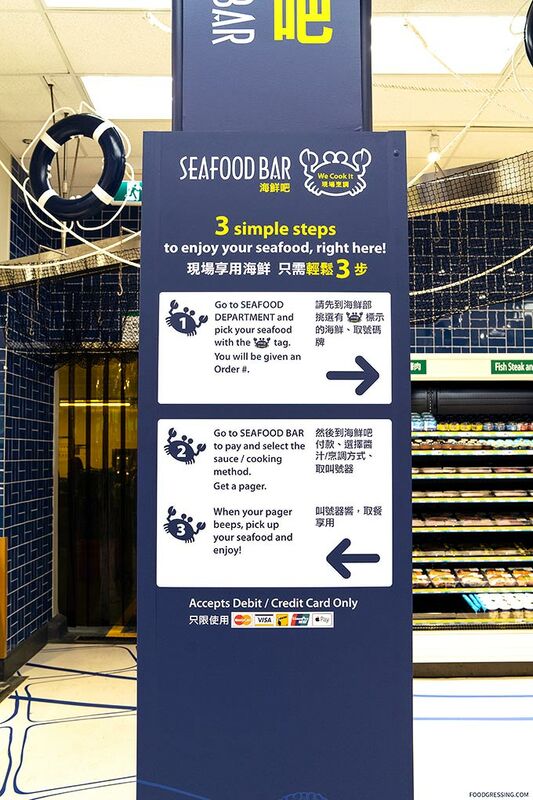 How it works is that you pick your seafood with a special “Cook It” tag. You will then be given an Order #. 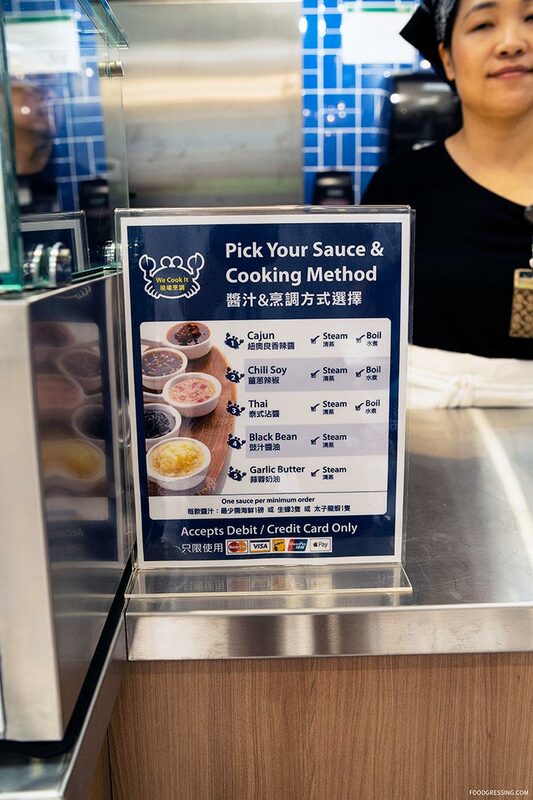 Next, proceed to the cashier to choose your sauce and cooking method. For payment, they accept debit or credit only. You will then receive a pager. When the pager rings, you can collect your dish. It’s basically from seafood tank to table! 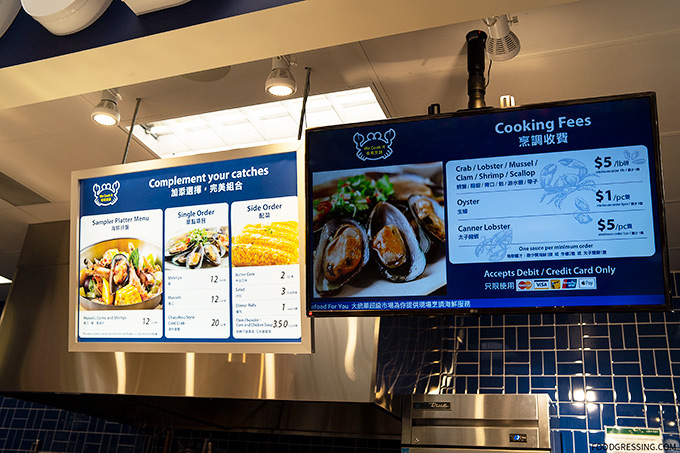 To complement your catches, they also offer a sample platter menu of mussels, clams, and shrimp ($12 per set) as well as single orders of shrimps ($12 per set), mussels ($12 per set) or Chaozhou style cold crab ($12 per piece). They also have a few side options like corn ($2 each), salad ($3), dinner rolls ($1 each) and clam chowder or corn & chicken soup ($3.50 per box). 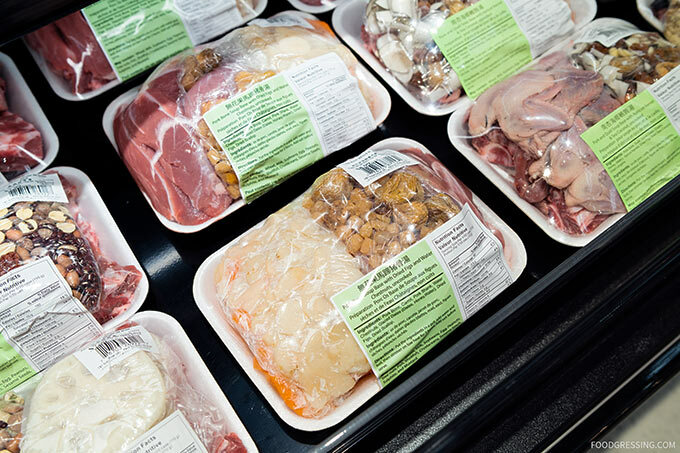 Cooking fees for crab, lobster, mussel, clam, shrimp and scallops are $5 per lb (minimum 1 lb order). For oysters, it is $1 per piece (minimum order 3 pieces) and canner lobster is $5 per piece (minimum order 1 piece). Sauce options include cajun, chili soy, Thai, black bean, and garlic butter. Steaming or boiling cooking options are offered. 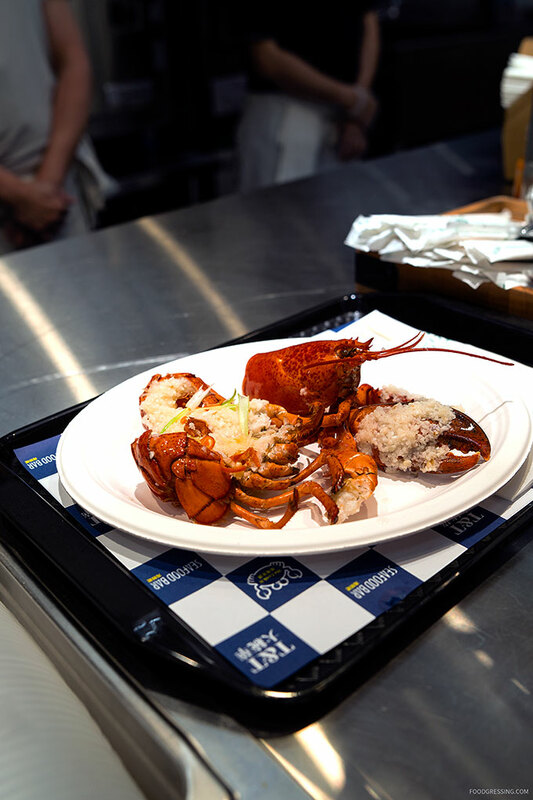 At the event, a lobster was chosen from the tank and cooked immediately for the attendees. 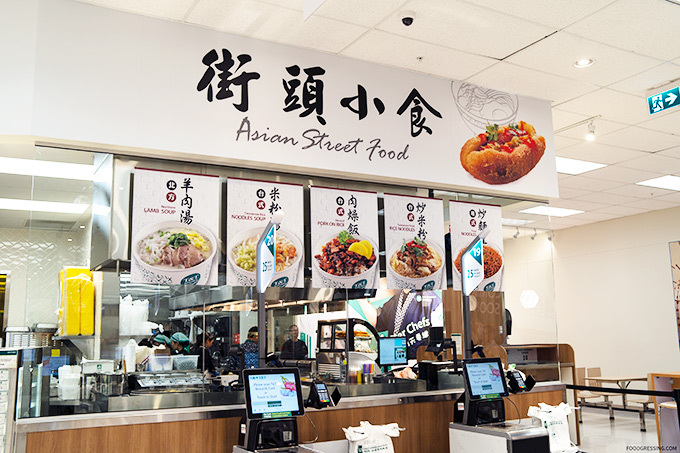 Another interesting food option at T&T Lansdowne is the Asian Street Food station. 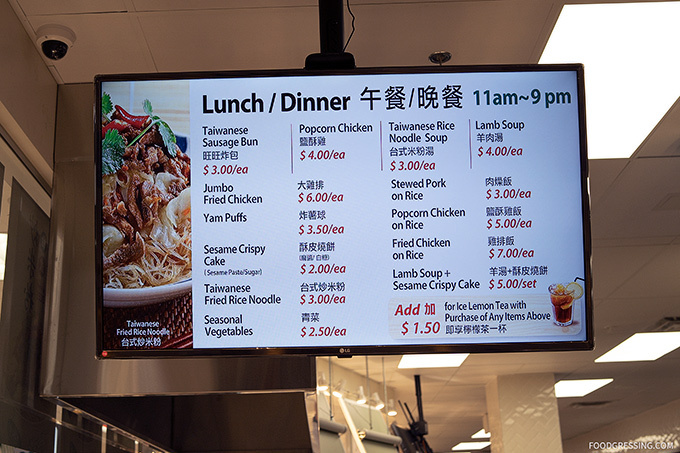 The stall is open for lunch and dinner (11 am – 9 pm) and offers Asian snacks like Taiwanese Sauce Bun, Popcorn Chicken, Taiwanese Rice Noodle Soup and more. 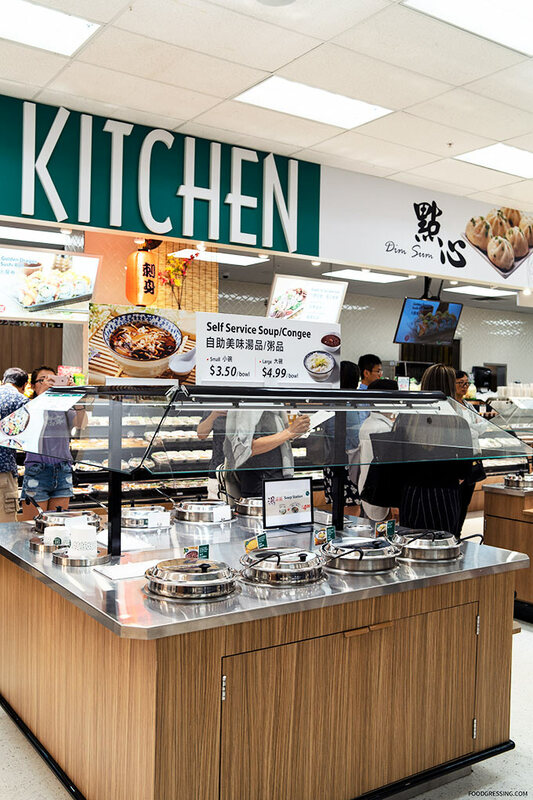 Indulge yourself in some comforting congee and soup at the self-serve bar. 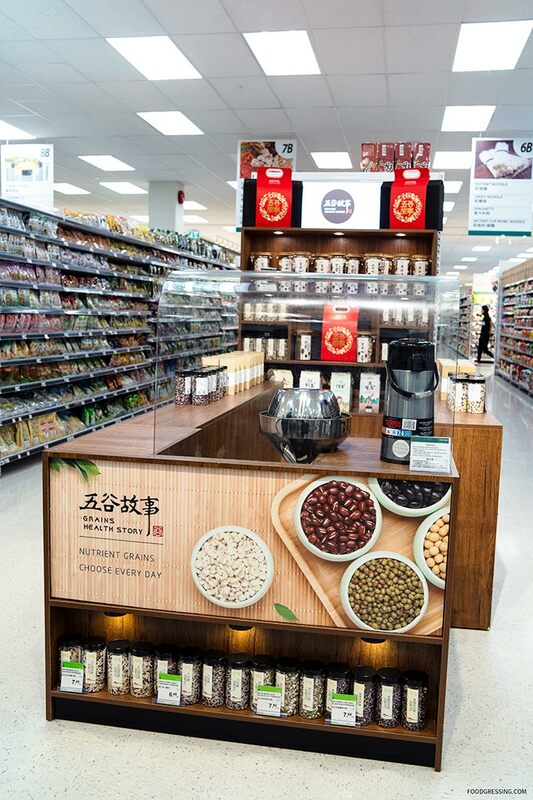 Some of the options include Lotus Seed and Red Bean Sweet Soup, Diced Chicken and Cream of Corn Soup, and Filet Fish Congee. 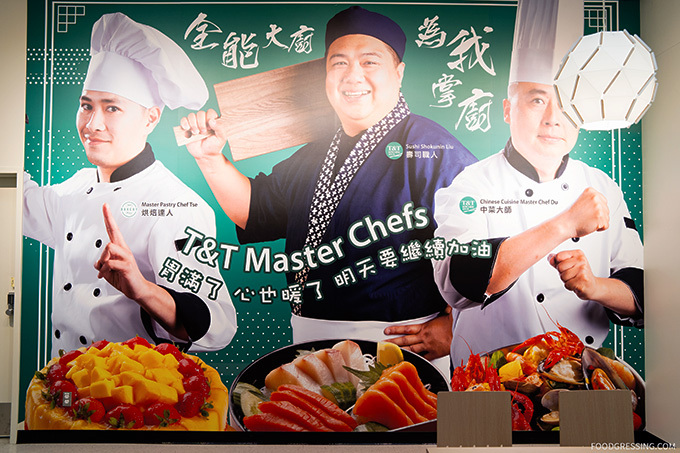 T&T has their own Master Chefs who help develop the menus. 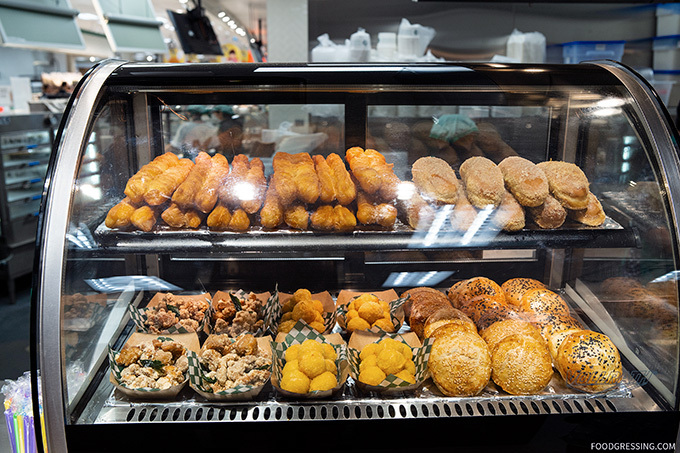 For the bakery, there is Chef Tse; for sushi, Chef Shokunin Liu; and for Chinese Cuisine, Chef Du. 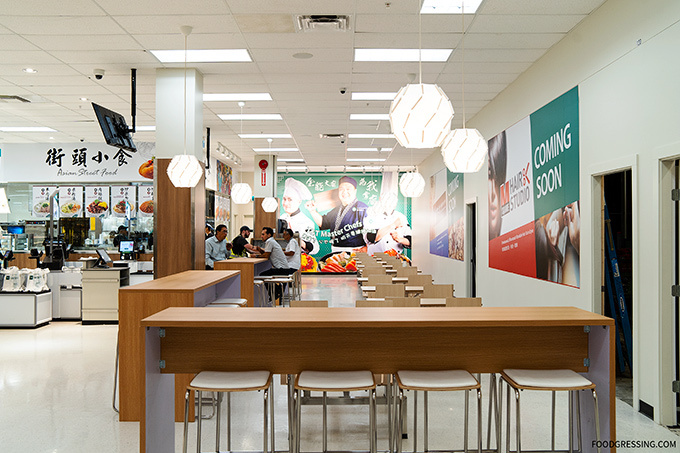 There is a designated eating area where you can enjoy the hot food items in the store. 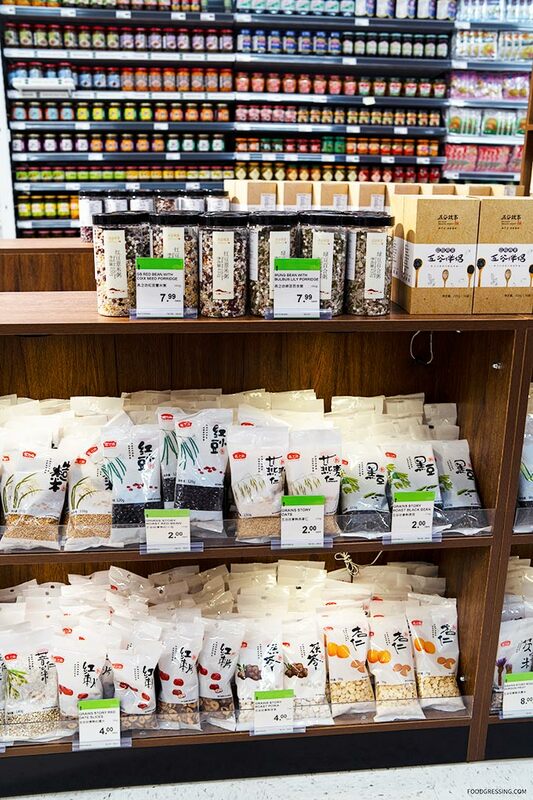 At this station, you can get healthy grain mixes featuring red beans, mung beans, black beans and more. 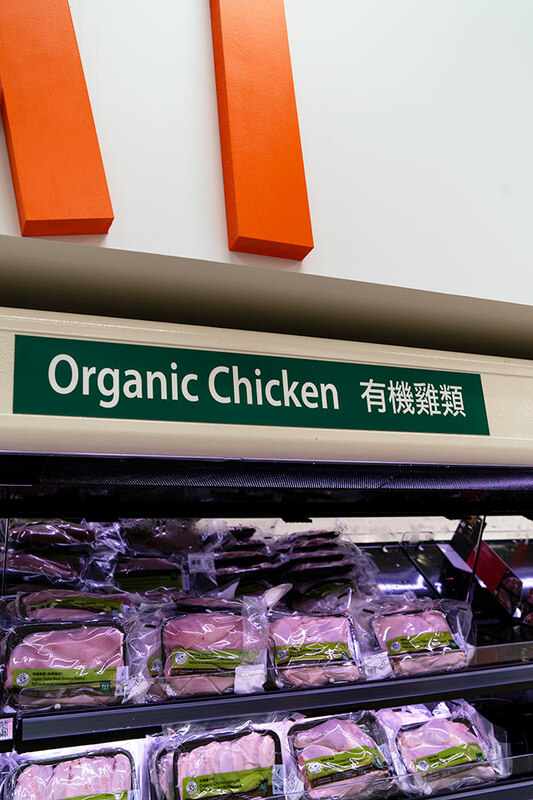 In the meat section, you’ll find organic options as well as information about the farms where the meats come from. 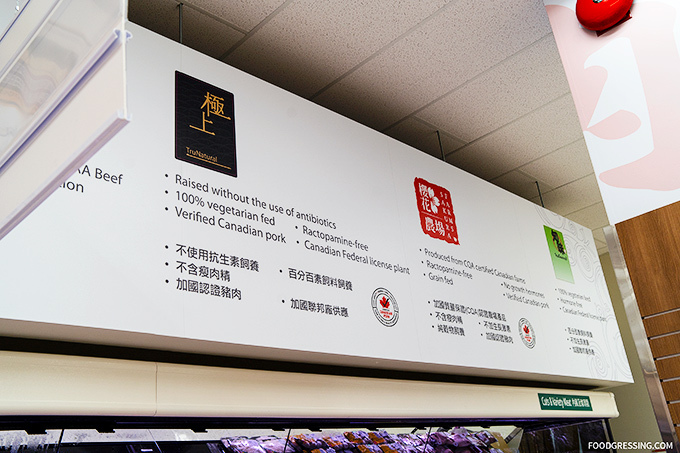 Look for signage above to learn more about the type of feed used, certifications and so forth. 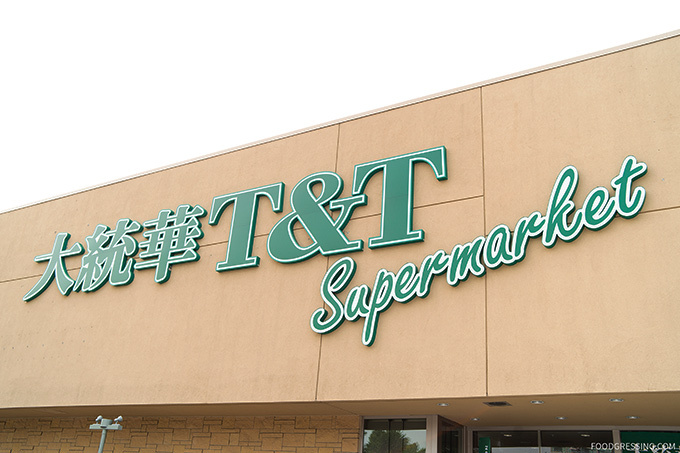 If you’re looking for a way to easily make a comforting and nutritious bowl of soup, T&T offers pre-packed soup base ingredients. Take for example, the pork soup base with dried figs and water chestnuts. T&T Lansdowne (as well as at other locations) offers handmade dumplings. 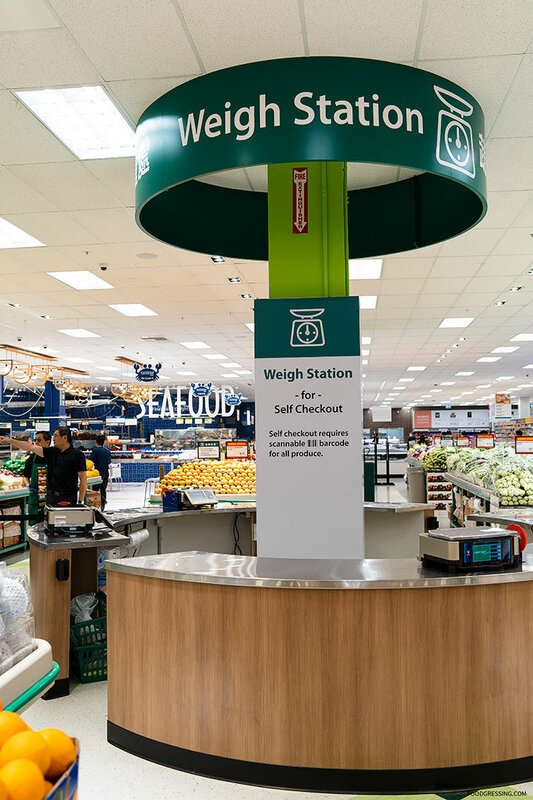 You can weigh your produce ahead of time at the weigh station to make the checkout process a bit faster. 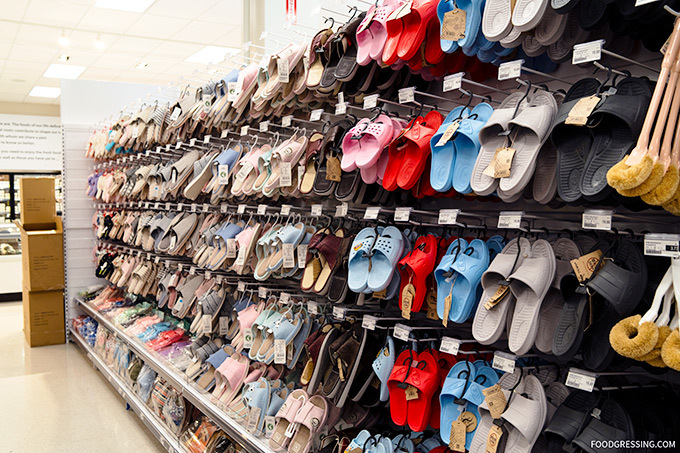 In terms of lifestyle products, T&T Lansdowne is very proud to offer an extremely wide selection of slippers to cater to the Asian lifestyle. 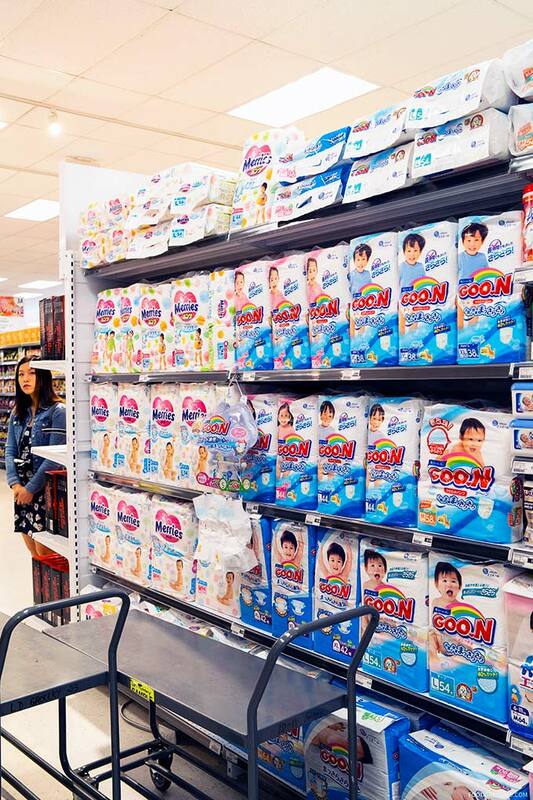 T&T Lansdowne is also carrying Japanese-brand diapers, GOO.N and Merries, which are popular in Asia. 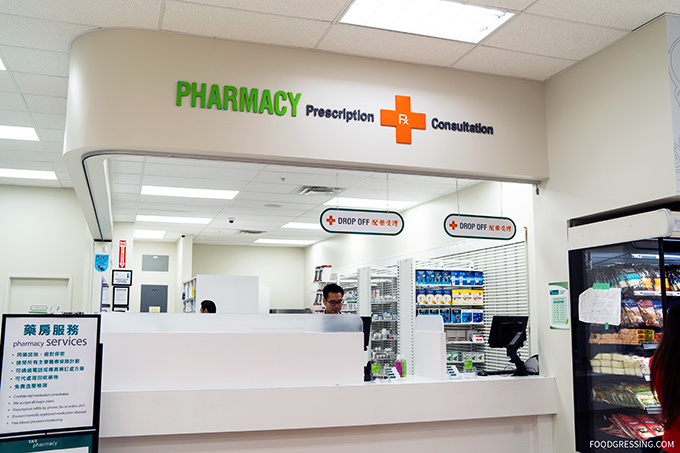 Customers can also get their prescriptions filled at the in-store pharmacy. 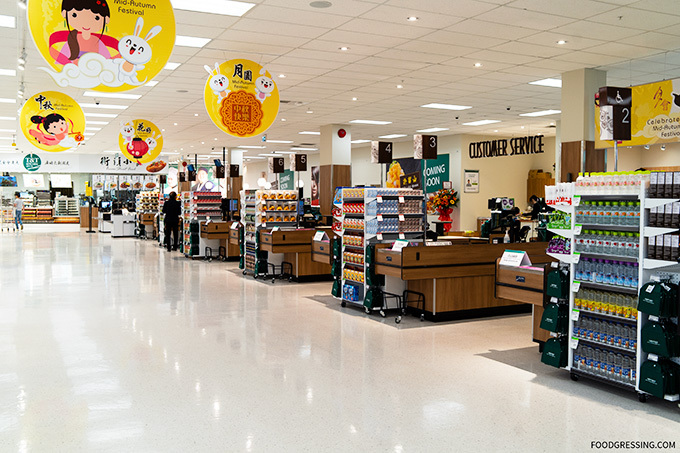 Refills can be done by phone, fax or online 24/7. They also offer free blood presure monitoring. 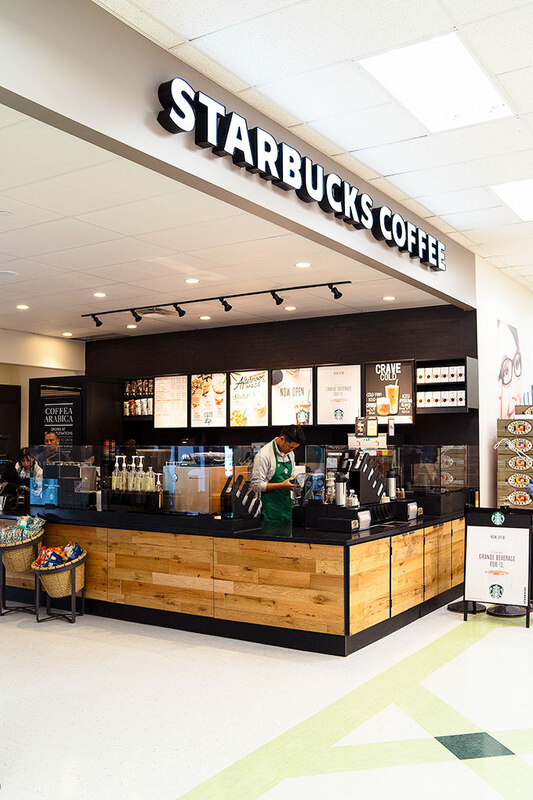 And if you’re needing a coffee fix, Starbucks has a location right inside T&T Lansdowne. 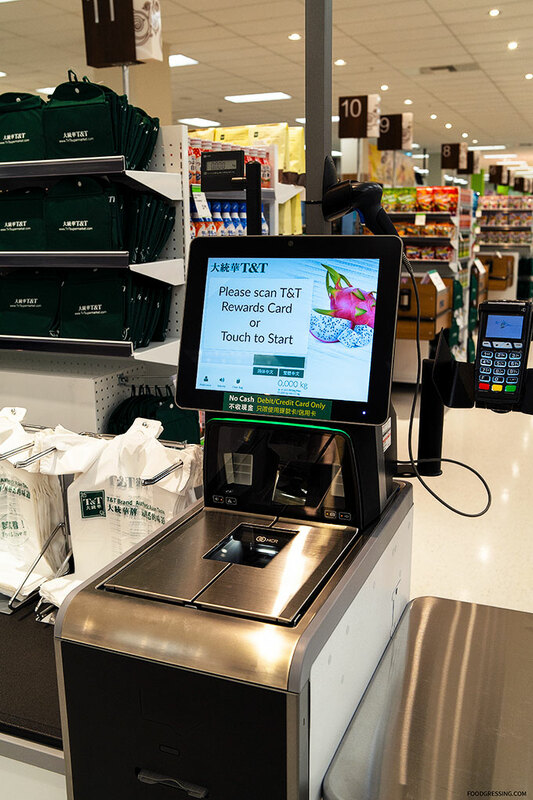 This store also allows customers to do self-checkout. 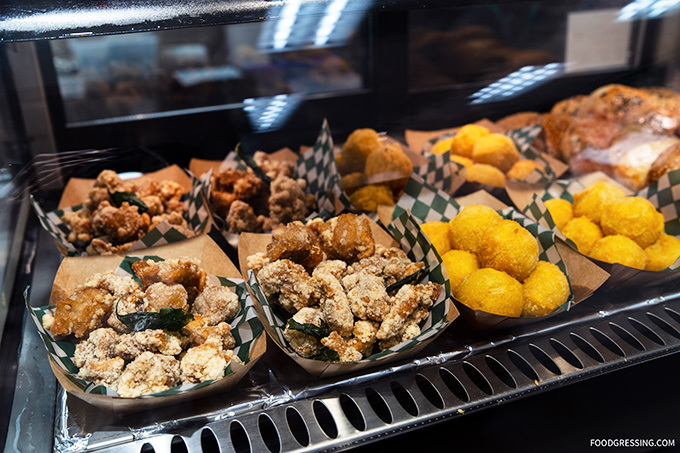 Find these stations near the Asian Street Food.